Banff a town within Banff National Park in Alberta, Canada is located in Alberta’s Rockies beside the Trans-Canada Highway around 126 km west of Calgary and 58 km east of Lake Louise. 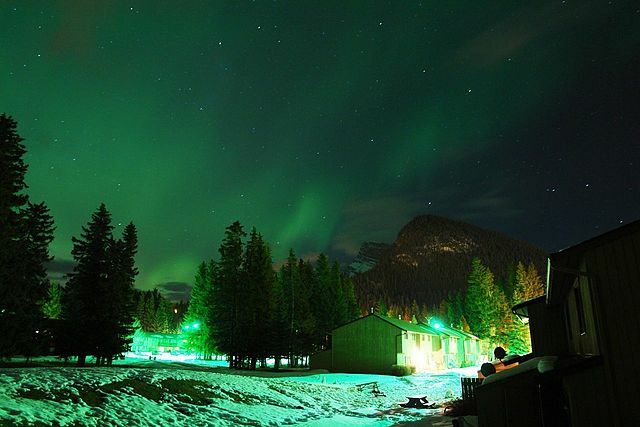 At a height of 1,400 m to 1,630, it is a community which has the second highest elevation after Lake Louise, in Alberta. The Town of Banff had been the first municipality to have been incorporated within a Canadian national park and the town is said to be a member of the Calgary Regional Partnership. Banff a resort town and one of the most popular destinations of Canada is known for its mountainous surroundings together with the hot springs. It is a location for outdoor sports, featuring great hiking, scrambling, biking and skiing areas. The three nearest ski resorts located within the national park are Sunshine Village, Ski Norquay and Lake Louise Mountain Resort. This town site had been developed as a service centre near the railway station for tourist intending to visit the park and was administered by the Government of Canada’s national parks system till 1990 when the Town of Banff had become the only included municipality within a Canadian national park. Banff had first been settled in1880 after the transcontinental railway had been constructed through the Bow Valley. Towards 1883, three workers of the Canadian Pacific Railway had stumbled on a series of natural hot springs along the side of Sulphur Mountain and in 1885, Canada had established a federal reserve of 26 km2 surrounding the Cave and Basin hot springs. The area was promoted as an international resort as well as a spa in support of the new railway. The reserve area had been increased to 673 km2 in 1887 and was named `Rocky Mountain Park’ which became the beginning of Canada National Park system. Banff National Park is the oldest national park in Canada which was established in 1885 in the Rocky Mountain and the park is located 110 – 180 km west of Calgary in Alberta covering 6,641 square km of mountainous landscape with various glaciers and ice field, dense coniferous forest together with alpine landscapes. Extending from Lake Louise is the Icefields Parkway connecting to Jasper National Park towards the north. Provincial forests and Yoho National Park lies towards the west while Kootenay National Park is located to the south with Kananaskis Country to the southeast. The town of Banff is the commercial centre of the park in the Bow River valley. It is said that the Canadian Pacific Railway was influential in Banff’s early years, constructing the Banff Springs Hotel as well as Lake Louise Chalet. This drew the tourists through wide advertising. Roads were built in the early 20th century, at times by war captives from World War I and through Great Depression-era public works projects. As the first national park established in Canada and a popular UNESCO World Heritage Site, Banff National Park is very appealing with its combination of vast unchanged wilderness, accompanied with mountain lakes – Lake Louise and an amazing destination to enjoy nature and all that it offers for a relaxed stay in the Town of Banff.